After more than 16 years, join Randall and his esteemed culinary friends to celebrate the closing of his school. On January 7, 2017, at the Hyatt Regency Savannah, Chef Joe Randall, owner of Chef Joe Randall’s Cooking School, will celebrate the end of an era and the Savannah community is invited. On December 23, Randall will host his last cooking class, following more than 16 years of fulfilling the appetite of locals and tourists from around the world. Chef Joe Randall, deemed the “Dean of Southern Cuisine” by Cuisine Noir Magazine, is a 53 year veteran of the hospitality and food service industry. The depth and range of his experience and his dedication to professional excellence, has earned him the respect of professional chefs as well as restaurant managers/ owners and beyond. At his school, Randall has preached the gospel of authentic southern cuisine to all comers. The success of the school is a credit to Chef Joe’s great love of southern cuisine, the city of Savannah and his efforts to share the historically accurate heritage of southern culture. So much so, in September 2016, Randall and other esteemed chefs (Leah Chase and the late Edna Lewis and Patrick Clark), were enshrined inside the Smithsonian Museum of African American History and Culturein Washington, D.C.
On January 7, the celebratory event, ‘Chef Joe & Friends,’ will highlight a legacy of good food, good wine and good times. With support from Randall’s many friends in culinary, chefs from around the country will prepare a reception with hors d’oeuvres and a special 6-course dinner. 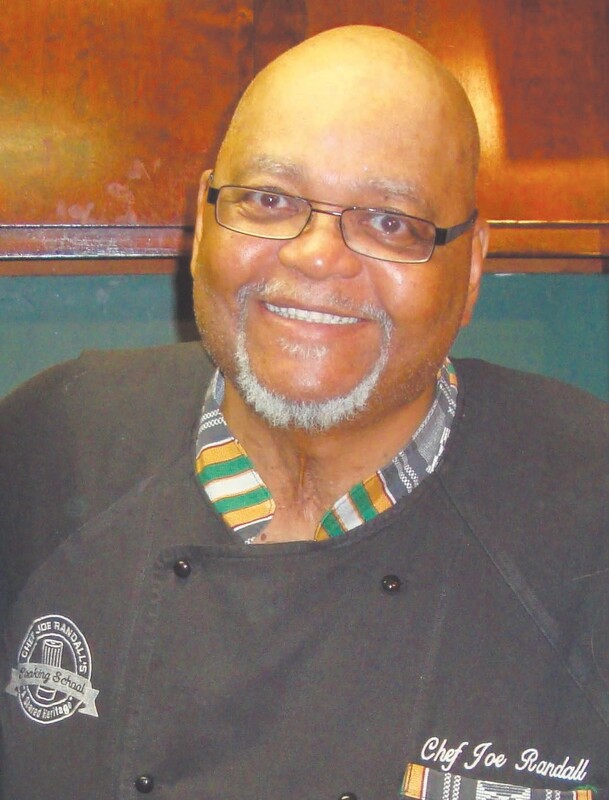 On the menu includes, Jerome Grant, executive chef of the Sweet Home Café within the Smithsonian Museum of African American History and Culture. Other featured chefs to include, Earlest Bell of Healthy Culinary Creations in Orlando, Fla., Bernard Carmouche of Two Chefs Seafood in Orlando, Fla., Timothy Dean of T.D. Burgers in Washington, D.C., Dwight Evans of Sodexo and Covenant Village of Northbrook in Chicago, Ill., Charley Hatney of Coaxum’s Low Country Cuisine in Conyers, Ga., Kevin Mitchell of Culinary Institute of Charleston in Charleston, SC., Duanne Nutter of Southern National Restaurant in Mobile, Ala. and Marvin Woods of MADD Flavor in Atlanta, Ga.
For more information on the event and to register visit, www.chefjoerandall.com/calendar, or contact Chef Joe Randall himself, at info@chefjoerandall.com or (912) 303- 0409.